NEW YORK, NY – According to a story appearing on domain industry satire site DomainGang.com, popular domain investor and researcher George Kirikos, has discovered (and recently tweeted) that he located financial documents which indicate what appears to be a sale price of the geographic domain name Chicago.com. ?? I believe that the https://t.co/od6CZmyGsw domain name changed hands for USD $1 million. 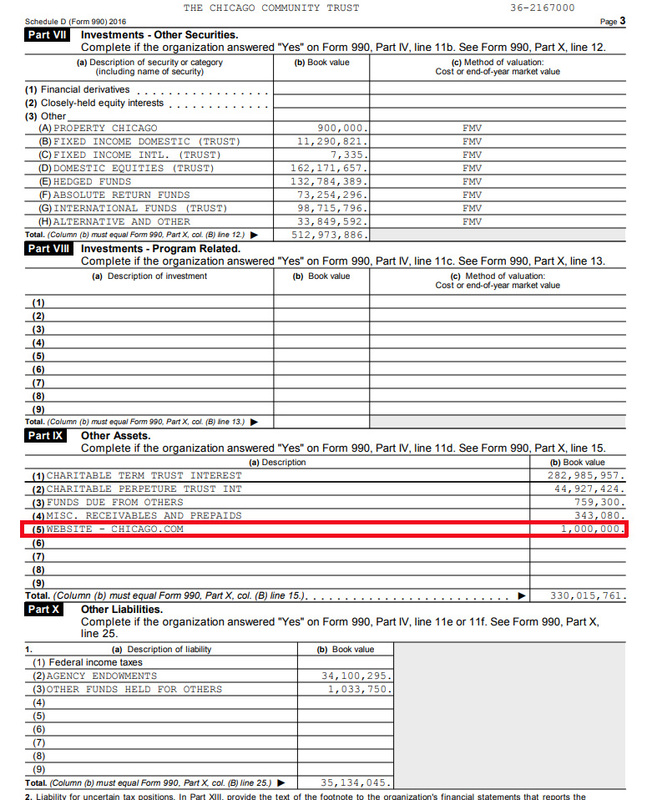 According to the IRS Form 990 for the Chicago Community Trust (buyer), there’s an entry “WEBSITE – https://t.co/73rwE0MBgN” for $1,000,000 https://t.co/KE7OU2rzlQ (24th page of PDF) ?? According to tax documents the domain name, which was purchased in 2017, is listed as $1,000,000.00 on the Schedule D (Form 990) of the Chicago Community Trust’s federal filings. At the time the sale was first reported in the Chicago Times, the terms of the deal were undisclosed which left only speculation as to what the price might have been. Today that answer is, a bit more clear, or at least “more likely” to have been $1 Million, however, the form it is listed on, Schedule D, (Form 990) indicates the item under Part IX “Other Assets” column B as “book value” – this may or may not necessarily be a ‘purchase price’. This was the second time the geographic domain name changed hands as it was first purchased in 2013 by the Sun-Times Newspaper parent Wrapports LLC, which used the site to showcase tourist information and events. 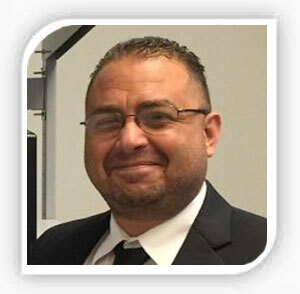 The company also gained the sites founder Josh Metnic who became CTO after the acquisition. Wrapports LLC then sold Chicago.com to the Chicago Community Trust, a community organization formed to provide grants to local nonprofit institutions. Wrapports wound up selling off all other assets of the Sun-Times Media Group in 2017 as it continued to haemorrhage losses in the area of $4.5 million per year. It’s always great to see geographic domain names holding their own selling for 7 figures, often times with ‘no accompanying revenue or customers’ – really amazing. Seems to put them in a class all their own depending on the market, region and population, etc. A few others large transactions were Korea.com for $5,000,000 in 2000, England.com for $2,000,000 in 1999, Britain.com $1,000,000 in 1999. Denver.com in 2012 (seven figure deal), California.com in 2018 (seven figure deal). I’d say these geo’s have been smashed by the Google 2012 changes as a big chunk of the appeal was SEO. Seems a low price for this name and they are hardly “holding their own”. I believe the Google changes from the time period you speak crushed the exact match domain space for near any keyword driven URL, however, super short .com domains and exact match .com GEO domains for big places remain the absolute best investment. Multi keyword strings which simply act as plays on search engines have been crushed. For me, to see what happened to owner of France.com is, in my opinion, a larger threat than anything I’ve seen in the space to date. Absolute nightmare what happened to Jean-Noel Frydman, who had the French government seize the domain name he owned since 1994. John, there hasn’t been a decent GEO sale in years (I went back through 3 years of dnjournal top 100 and couldn’t find a single sale). The geo market looks to be as weak as water compared to 10 years ago and this sale is a good example of it. It is nothing like short .com’s which are selling strongly and consistently in singular form. I’d put geo’s in the same bracket as one word plural .com’s and popular keyword .com’s where the SEO value is not what it once was hence the decline in interest. What makes you think anyone spending one million or more for a domain is going to issue a press release? I’m sure many of them are private.. Some do, some don;t for a variety of reasons…. Since I started circa 2002 my focus has always been on GEO domains. I am currently seeking a buyer for TheBahamas.com. I also have a number of African GEO names, including about half the Nigerian states, comprising roughly 70 million people. Exact match GEO .com’s are much more than Google search word matches… they’re inherently intuitive and obvious, and this offers exponential and compounding qualities to online campaigns.